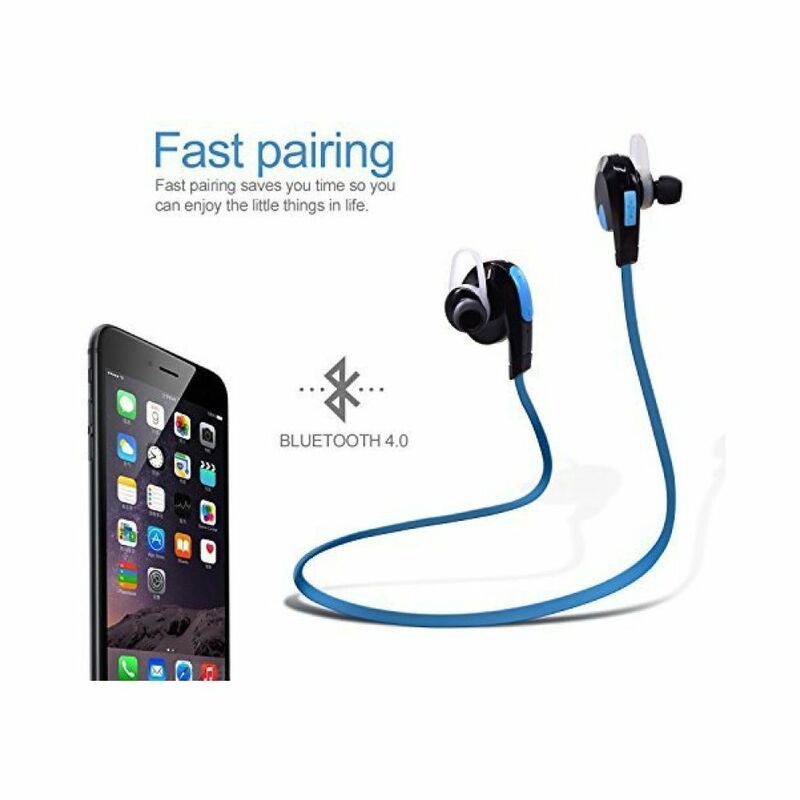 Bluetooth 4.1 Technology Ensures Perfect Stereo Sound Quality With High Bass. Comes With Balanced Left And Right Stereo Channels. Super Signal Supports Operation With In 10Ft. Built-In Hd Microphone With Cvc6.0 Noise Cancellation.These Earphones Look Good, But They Sound Even Better Mic Included In Earphone For Ease While On Call Use Them With Your Mobile Phone Or Any Other Music Player. Note: Colour Will Be Sent Out Green Or Red In Case Blue Is Not Available. 5 Hours Music Play Time - Built-In Rechargeable Powerful Lithium Battery (80 Mah) Provides Upto 150 Hrs Of Standby Time And, 6-7 Hrs Of Talk Time And 5 Hrs Of Music Play Time. Ompatible Devices - Fast Pairing With All Smartphones Having Bluetooth Functionality. Iphone 6/6S, 6S Plus, 5 5C 5S 4S,Ipad Air, Samsung Galaxy S6,S5,S4,S3 Note 4 3, Htc M9 M8 M7,Lg Flex 2 G3 G2, Apple Watch And Other Bluetooth Smartphones/Devices.